Guests of the Colle degli Olivi farmhouse residence are within easy reach of the centre of Assisi, either by car, leaving it at the Mojano Assisi Parking, or on foot with a pleasant 15-minute walk. 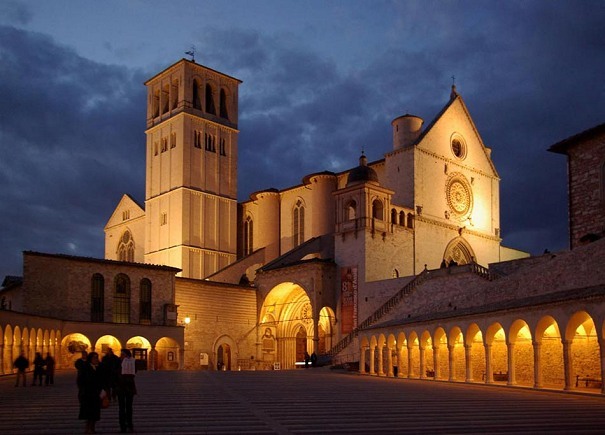 On a more secular plane, visitors to Assisi should make sure they take a look at the exhibitions held at the Monte Frumentario or the Pinacoteca Comunale, besides the city’s major monuments and sights such as the Basilica of St Francis’, the Church of St Claire, the Cathedral of San Rufino and many others. The great Medieval past of this unique town comes alive during the Calendimaggio, the Palio di San Rufino, the Feast of the Campanelle di San Pietro, as well as in the many concerts and theatre performances held throughout the year in St Francis’, Piazza del Comune and the Rocca Maggiore. Every year Assisi is visited by thousands of tourists from all over the world. This page has been seen 6,332 times.